Documents To Go for windows Mobile 5.0 Smartphone & 6/6.1 Standard lets you view, edit and create microsoft Word, Excel and powerpoint files, view Adobe pdf files as well as unzip files on your device - all in one complete package.Featuring our revolutionary InTact Technology, original desktop documents will never lose formatting when you make edits on your smartphone, thus helping you confidently get work done where your personal life takes you. 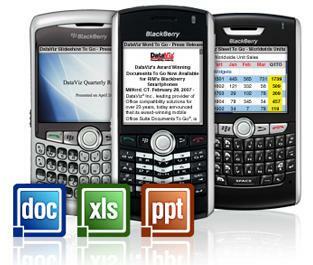 Word, Excel, PowerPoint & PDF files on your Windows Mobile phone. ...... files on your device - all in one complete package. Featuring our revolutionary InTact Technology, original desktop documents will never lose formatting when you make edits on your smartphone, thus helping you confidently get work done no matter where your personal or professional life takes you. Qweas is providing links to Documents To Go for Mobile 3.003 as a courtesy, and makes no representations regarding Documents To Go for Mobile or any other applications or any information related thereto. Any questions, complaints or claims regarding this application Documents To Go for Mobile 3.003 must be directed to the appropriate software vendor. You may click the publisher link of Documents To Go for Mobile on the top of this page to get more details about the vendor.